You can stop any running a drip campaign to an individual user. Use the following instructions to stop a drip campaign on your mobile or desktop. 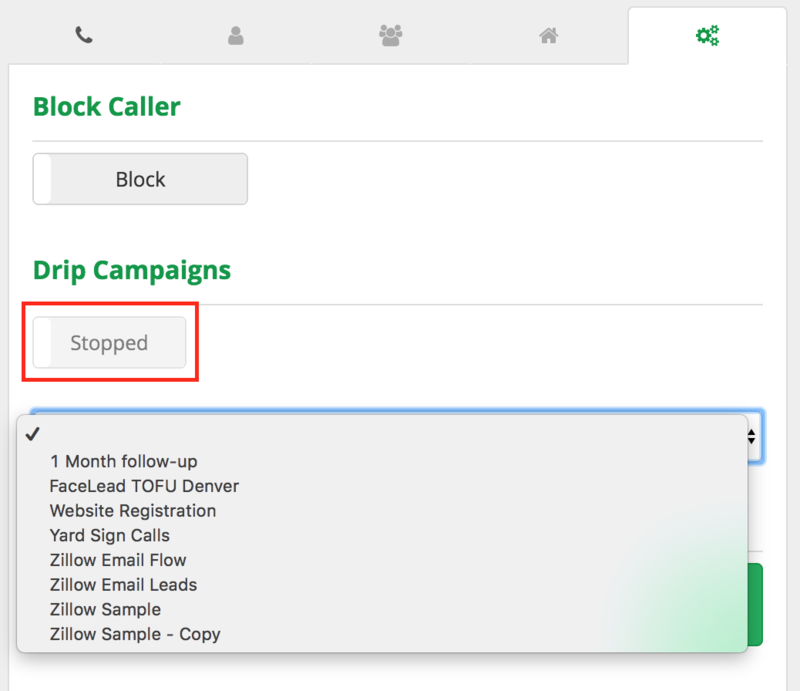 Scroll down to "Drip Campaign"
Click on toggle button to "Stopped"
It's as simple as that to stop a CallAction drip campaign to a specific user. Once a drip is stopped, you can then reassign a new drip campaign if needed. If you are not currently using CallAction, you may signup for a free 14-day trial in less than 10 mins. You'll get 14 days free and we also offer a 30 day, 100% satisfaction, money-back guarantee after your first billing cycle.